It’s not good when you win the battle but lose the war. In a modern media crisis, truth is the first casualty in protecting reputation. Social media is an early source of crisis speculation, rather than crisis information. So, how ready is your organisation to counter and redress misinformation? Remember, a successful emergency response may still elicit negative commentary from the ill informed. CAPACITY, in conjunction with Socom, provides executive Crisis Management training and multi-disciplinary exercises, putting your organisation on the fast track to resilience. 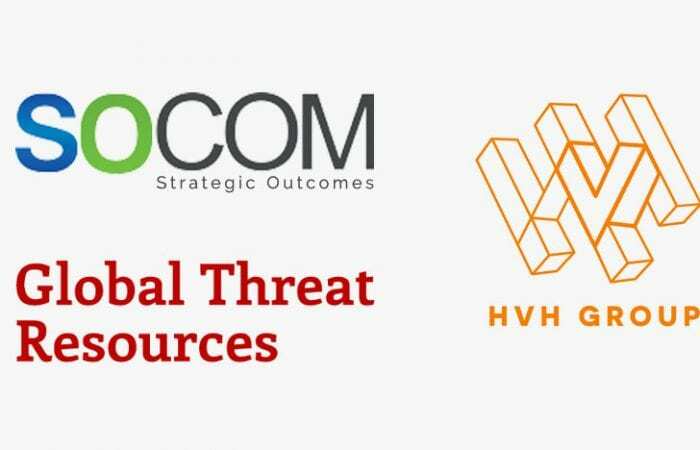 CAPACITY, in conjunction with Global Threat Resources / HVH Group, also provide security audits and risk assessments for facilities, business events or operations that may not be routine activity for your organisation such as complex operational reviews, global travel security, open source intelligence (OSINT) analysis and hostile surveillance. An Emergency Plan is written documentation of the emergency arrangements for a facility or organisation. It consists of the preparedness, prevention, and response activities and includes the agreed emergency roles, responsibilities, strategies, systems and arrangements. For any organisation’s Emergency Plan to be truly effective it should also be complimentary to Business Continuity contingencies and Crisis Management activities. CAPACITY, in conjunction with our associates, can provide additional assistance to develop robust contingencies and allied plans for all security and crisis related threats in conjunction with emergency plans. Australian Standard AS3745:2010 Planning for emergencies in facilities – pivotal document is the development and documentation of a site specific Emergency Plan. Regulation 43 of the Work Health and Safety (WHS) also stipulates the requirements of an Emergency Plan for all persons conducting a business or undertaking (PCBUs). The only plan that works is the plan that people do. CAPACITY works with you to provide tailored training to compliment your organisation’s requirements and to educate those that you will rely upon to take the lead when an emergency strikes. We provide a diverse range of typical emergency response related training including, but not limited to; building evacuation, bomb threats, chemical and biological threats, workplace intrusion including lock-down and other security related emergencies. Training content is continually reviewed; ensuring that content includes appropriate countermeasures for new and emerging threats. AS3745:2010 Clause 1.4.5 stipulates that all training and skills retention activities shall be conducted or supervised by competent person(s). All CAPACITY staff engaged in training activities possess TAE40110 Certificate IV in Training and Assessment and have military or Emergency Service experience. We conduct both physical and desktop exercises to ensure your emergency response procedures and the associated training sessions are effective. We believe in conducting exercises that test all contingencies across a range of identified threats. We specialise in complex exercises that can integrate and test emergency, crisis and business continuity plans. Australian Standard AS3745:2010 stipulates that facilities must conduct at least one emergency response exercise involving all occupants of the building at intervals not exceeding 12 months. CAPACITY can develop and supply evacuation diagrams for your facility. We strive to customise within the required constraints of diagram design to ensure that your diagrams display site-specific information and can be produced in a range of premium presentation materials. Each diagram is submitted to you for inspection and approval prior to final print. CAPACITY will provide advice on the number, location and aspect of displaying your evacuation diagrams. Please note that we do not install diagrams within facilities. We trust your facilities maintenance with this task. Australian Standard AS3745:2010 sets out specific requirements regarding evacuation diagrams for all Australian States except Queensland. Queensland evacuation signs must conform to the Queensland Fire Safety Regulations derived from the Queensland Fire Safety Act 2008.